Mine: Great Fun. The performances are really top notch - Terence Stamp is first rate and totally credible as the quietly dignified transsexual, and it is hard to believe that Weaving and Pearce have not worked as flamboyant, lip-synching drag queens all their professional lives! Amazing that they have gone on to such widely diverse roles after this. 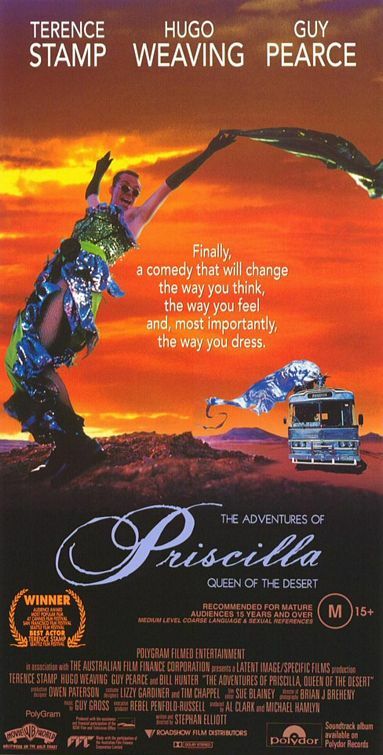 Leonard Maltin/Plot synopsis: Two drag queens and a transsexual get a cabaret gig in the middle of the desert.